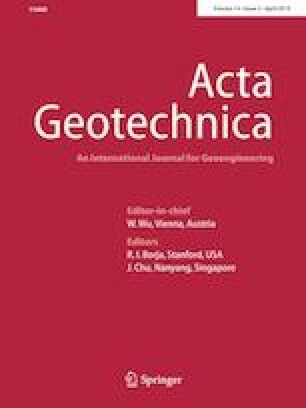 This paper presents a methodology for assessing the conditions at failure in interbedded sedimentary rocks. The type of rock mass considered here is representative of Carpathian Flysch Belt and has a sequence of alternating deposits of claystone and sandstone with varying thickness. The approach involves a numerical investigation at the mesoscale that allows the assessment of strength properties for different orientations of stratification. A comprehensive set of data generated through this investigation is then employed to identify material functions in a continuum framework that accounts for the effects of inherent anisotropy at the macroscale. The conditions at failure in both compression and tension regimes are addressed, and the performance of the macroscopic criterion is verified for different stress trajectories. A simplified procedure for incorporating the influence of volume fraction of constituents within the proposed macroscopic formulation is also suggested.